HTC to hold live event tomorrow; will we see the HTC One M9 Plus? HTC has posted on its website a countdown timer that is ticking down the seconds until a live media event will begin. 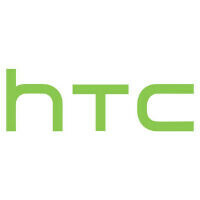 The event will take place in Seattle and HTC Americas president Jason Mackenzie will be hosting. The major question, of course, is what Mr. Mackenzie will be saying. Will we see the rumored HTC One M9 Plus unveiled? Another possibility is that HTC could announce a U.S. launch date and pricing for the HTC One M9. He also might address the software issue that has allegedly been the cause of a delay in the phone's launch in Taiwan, and explain whether it is an issue that will affect the delivery of the handset in the states. The live event starts at 9:00am PDT (Noon time in New York). Of course, we'll have all the news as soon as it breaks. Desperately hoping for the One M9 Plus! Why didn't they introduce the M9 Plus at the first event? Doesn't make sense. Maybe they forgot? Peter Chou got back home and was like "oh crap, we were supposed to do that other thing too weren't we..." My bet's on an HTC branded oven-mitt, for the overheating thing. No they didn't want to mimic Apple's launch. Although the HTC Event was downright dreadful!!! It was a waste of time. They don't want to compete with Galaxy S6 in MWC. Let the hype and excitement about S6 die down, and they release a bigger M9. Probably announcing that ugly E9 >. Hopefully its the watch or m9 plus! Can't wait. Stupid? Dude, if I can get a thatis a enlarged One. Count me in! You know HTC makes a stupid tablet called Nexus 9. Yeah but that's nexus device it really doesn't count as there own tablet you know. Kinda does... They designed it, chose the internals and built it, It's just that Google gave them the uninspired nexus "black slab o' glass" guidelines to follow. i think is something related to carriers. if is a new device why is americas only? Probably Not, It's most likely to talk about The HTC One Pocketheater. It is most definitely the new HTC smart belt. I think what's really going to happen is they're going to reveal the real One M9 and that what they shown is actually a dummy phone. So now we can all forget M9 because of this "plus".